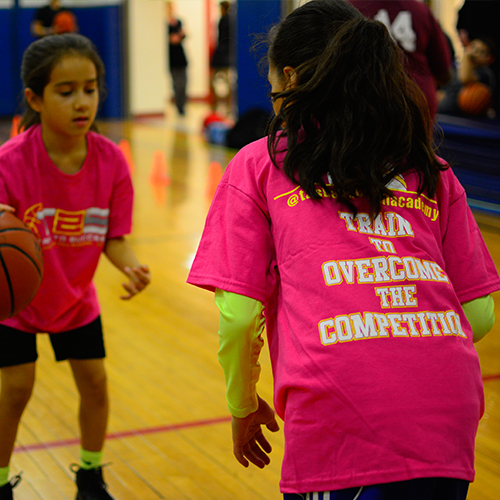 T2S Basketball Academy is an educational approach to simplify the game through innovative drills using proper mechanics, fundamental footwork, muscle-memory repetition and concept-based learning. the proper fundamental skills required to not only play the game correctly, but to play with skill. the necessary tools to compete and perform at the highest level through precise player development instruction and proper muscle-memory repetition. sportsmanship, high work-ethic, mental toughness and overall health and success both on and off the court. T2S is prepared to educate, develop, and empower our youth with confidence, commitment and the determination to succeed. Our vision and mission are central to our efforts in developing and providing a training program for all athletes to learn and excel in the fundamentals of basketball to the highest level. Our training sessions will serve the needs of our students from beginners to elite players.